We can perform an oral cancer screening in San Francisco and this screening might just save a life. 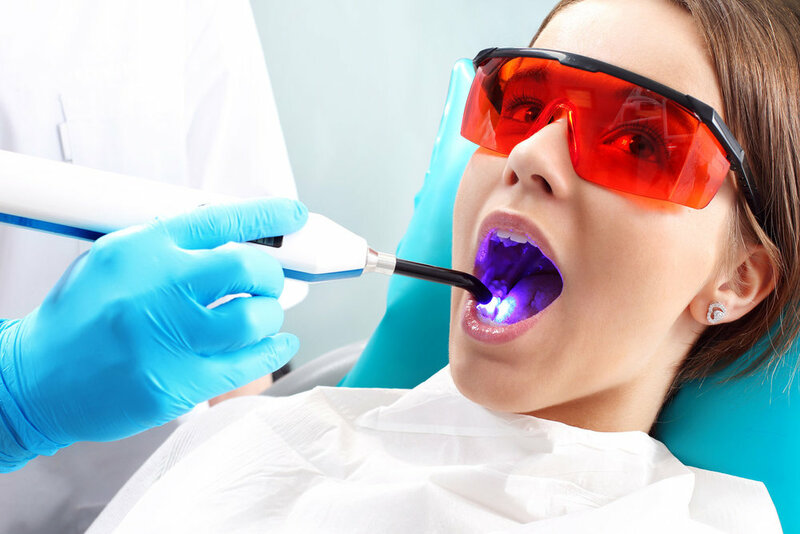 As a local dentist office, we find that most people do not talk about oral cancer. An adult Invisalign dentist in San Francisco has a solution that will work for any adult who needs straightening treatment, regardless of their profession or reservations about traditional metal braces. As a sedation dentist in San Francisco, we are changing the way that people receive dental care. Traditionally, dentists perform treatments while a patient is fully aware. We provide preventative dental care in San Francisco and can help you to have lifelong oral health. As a provider of dental exams in San Francisco, we are passionate about the oral health of our patients and the lifetime of their teeth. If you want information on professional teeth whitening brands, we encourage you to call and schedule an appointment with our San Francisco dentist office. While not having your teeth cared for can lead to a variety of future problems, many people still do not grasp the importance of regular trips to your San Francisco dentist. Our San Francisco dental office can perform dental surgery to give you back the full functionality and appearance of your smile after tooth loss.